2018 has become the year of the full-frame mirrorless camera as Panasonic joins Nikon and Canon in announcing the development of its first full-frame mirrorless models. As part of the LUMIX S series, Panasonic will introduce the 47 MP LUMIX S1R and the 24 MP S1. Both cameras will feature a Dual I.S. image stabilization system and 4K 60p video recording. And a first for Panasonic, they’ll also feature a double slot for XQD memory cards and SD memory cards. The cameras will utilize the same Leica L-mount found on Leica’s SL system, and Panasonic plans to develop more than 10 new lenses by 2020, expanding its LUMIX S series of compatible lenses. These include a 50mm/F1.4 fixed-focus lens, 24-105mm standard zoom lens and 70-200mm telephoto zoom lens. Panasonic has also announced a new service and support program called LUMIX PRO, which will offer global service and repair benefits. Details will be coming soon on the October launch for the U.S. market. Prototypes of the new cameras and lenses are on exhibit at Photokina 2018. The LUMIX S1R and S1 are expected for release in early 2019. Learn more in the full press release below. Cologne, Germany (September 25, 2018)– Panasonic Corporation has developed two models of its first Digital Single Lens Mirrorless camera with a 35 mm full-frame image sensor, the LUMIX S1R and the S1. These models are equipped with the world’s first*1 4K 60p video recording function and the Dual I.S. image stabilization system. As part of the LUMIX S series, Panasonic aims to release them on the global market early 2019. For 100 years since its founding, Panasonic has strived to help realize better lives for customers around the world by responding to their needs. Working on the concept of creating a new culture of photography for a digital age with digital cameras, in 2008 Panasonic released the LUMIX G1, the world’s first*2 Digital Single Lens Mirrorless camera. Over the ten years since then, Panasonic has continued to lead the industry with product innovations, such as the world’s first*3 camera supporting 4K video recording, and cameras equipped with the Dual I.S. (Image Stabilization) system, combining stabilization both inside the camera unit and the lens. With this in mind, Panasonic adopted the concept, ‘Fuel the Photographers’ Creative Vision’ to develop a Digital Single Lens Mirrorless camera with a strong focus on the expressive capabilities for both photos and videos. The company will bring these cameras to market as part of the LUMIX S series, striving to provide “specialized value” to customers desiring higher expressiveness. The cameras are user-friendly and offer a robust assortment of essential tools for professional photography and videography, as well as incorporate an entire array of Panasonic technology refined over a century. The latest innovations in Lumix S series also build on Panasonic’s ten years’ experience developing Digital Single Lens Mirrorless cameras, including digital technology such as image or signal processing, plus optical and heat dispersion technology and more. The combination of these capabilities will provide customers with new value for photography and videography. For the LUMIX G series of Micro Four Thirds Digital Single Lens Mirrorless cameras, Panasonic has started developing a LEICA DG VARIO-SUMMILUX 10-25 mm F1.7 lens that will achieve the world’s first*5 zoom with maximum aperture of F1.7 for the entire range. The LUMIX GH5, G9, and GH5S high-end Digital Single Lens Mirrorless cameras that Panasonic released since 2017 have already gained a solid reputation among professionals and high-level amateurs across the world for the quality of their pictures and ability to capture the vitality and beauty of life. This success is owed to Panasonic’s world-first*6 support for 4K 60p/50p video recording, and the world’s fastest autofocus*7 function using the company’s proprietary DFD (Depth From Defocus) technology. 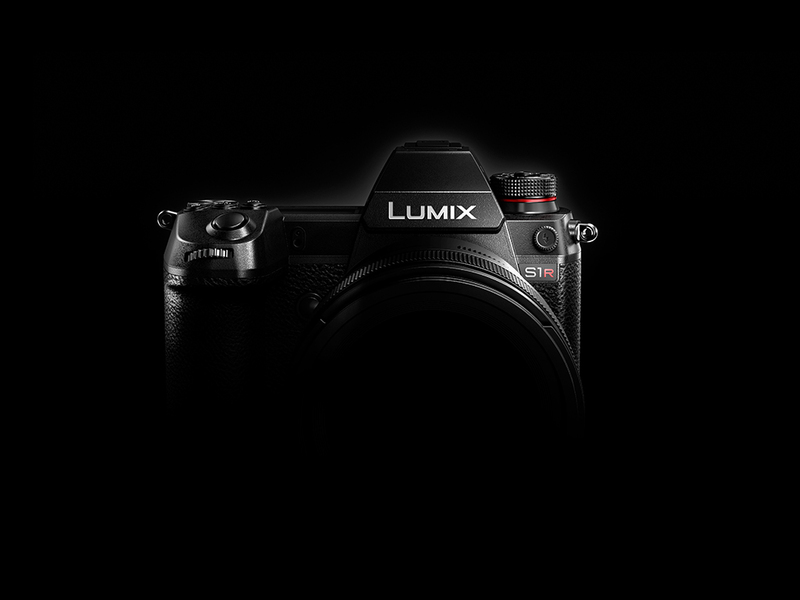 Panasonic will continue to provide new value to customers through the unique features of the compact, yet high-definition, LUMIX G series, while also reaching the professional market through the introduction of the full-frame LUMIX S series and the greater reach of the company’s support system. Through these measures, Panasonic will help to create a new culture of photography and videography. *1. World’s first support for 4K 60p/50p video recording in a full-frame Digital Single Lens Mirrorless camera. Regarding the inclusion of the Dual I.S. image stabilization system, this is for a full-frame Digital Interchangeable Lens System Camera. As of September 25, 2018 when announced in Germany, according to Panasonic data.